Posted March 15, 2018 by Jamie Apps & filed under Arts & Entertainment, CD Reviews, Music. 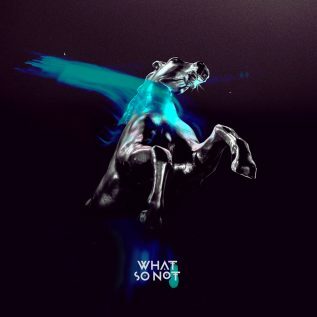 What So Not (aka Chris Emerson) allows his vast array of collaborators and influences to seep into the music but because he himself is a veteran producer he takes each of these elements and elevates them to new heights. As the listener progresses through Not All The Beautiful Things they are treated to glimpses of hip-hop, grime, dubstep/bass, 80s synth and even pop melodies. Emerson’s maturity shines throughout as he weaves all the elements together smoothly which ensures the listener is taken on a journey. This is a record which is all killer and no filler which implores the listener to take it in as one single body of work rather than cherry picking.